Ever since updating to iOS 12 beta (don't bother reminding me that it's a beta) last week, I cannot finish the sync from iTunes between my Mac and either my iPhone X or iPad Pro 2nd gen.
Update: Latest public beta released today remedied the problem. Gotta love test driving software when Apple remedies problem before I report it. Updating iPod Touch 6G, as it was not previous on the beta program. Well, all good except one thing: they [email protected] changed the iPad keyboard layout - swapped the numbers key with the keyboard change key. It’s impossible to get rid of the muscle memory. I’m constantly changing keyboards now. I don’t know if it has anything to do with iOS 12 being available, but, starting yesterday, I’ve been getting constant push notifications from Apple to activate two-factor authentication. I just put it on my iPad Mini 2. It had iOS 10, which was pokey. 12 feels... about as pokey, which is actually rather impressive. This binding spell will come in handy! Marking everything as read doesn’t crash Mail anymore. Congratulations, Apple. It only took you a year to restore basic functionality. Sadly we no longer live in a carrot and stick mentality when it comes to security/software updates. It’s all stick now. Hey here's a little test, on iOS 12 with an iPad Pro. If I have the iPad charging via the usual 12W USB-A charger, I can use TouchID to unlock and get to the home screen. But if I want to do fast charging by connecting a lightning to USB-C cable and use a Chotech 18W USB-C charger (not Apple, but it is a genuine USB-C charger, works with my iPhone), TouchID is not recognized. iPad still works and charges like normal, but I can't unlock without going to a passcode. Any idea if a future iOS 12 update will fix this? How would I even report something like this officially? I have never seen this issue. Unless charged on the dresser overnight, I've charged my iPads primarily via USB-C for over a year and a half now. Just tested it with the 87W Apple MacBook Pro Charger and the Apple USB-to-Lightning Cable on a 10.5" iPad Pro running iOS 12. 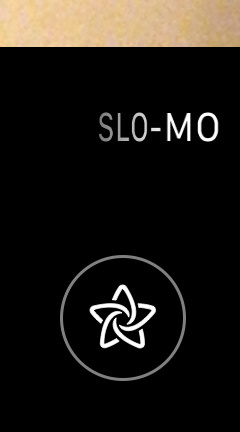 Works fine via Touch ID, immediately. I assume (though have not yet tested) that it’ll work with the 87W charger, since I have that as well for my MacBook, but it strikes me that Chotech’s 18W charger doesn’t allow the iPad Pro to unlock but it works with my iPhone. Not sure if it’s new in iOS 12, but I’ve just noticed that the Music app finally lets us sort albums by date. I don’t iPad enough for this to get me, but on my phone, splitting Camera and Photos in iMessage is a massive annoyance. Every time I try to poison someone with a meme, I fire-up the camera. I think that I am going to recommend against getting one of these (admittedly I got mine for free). Since Day 1, it has had some connectivity issues, even a loud electrical sparking sound... but lately the coil whine on that thing is LOUD. I have to unplug the adapter from the outlet just to have some quiet. I finally got around to updating my iPhone 8 and iPad overnight (and my watch, which only had an update after I had my iPhone at iOS 12). So far the biggest things I’ve noticed are that the message colors in Messages are more saturated, and that the update moved many of my icons around - quite a lot. My iPad does seem to have a bit more run time than before, too. I haven’t done anything particularly taxing with either device, but it’s been OK so far. WHY does my iPhone keep making duplicate photos and videos every time I ask Photos on my Mac to import my most recent photos and videos? After every import, I have to keep going back into Photos on my iPhone and manually delete the duplicates. Let's say that I want a video file on my Mac of one of the videos (taken from my iPhone, imported onto my Mac's Photos library). When I select and drag the thumbnail for that video in Photos to a folder on my Mac (e.g., the Downloads folder), Photos takes a while to do it, but then gives me a somewhat compressed video file. I found that if I go into my Photos Library > Show Package Contents and pull the ORIGINAL .mov file from there, it's not compressed, plus it's faster to make a copy of anyway. WHY does Photos further compress the video when I just want the raw video file in its fullest quality? Thank God Apple this was fixed in the latest update. I’m not sure how this type of error can happen - still sounds more like an idiotic attempt of fixing something that wasn’t broken in the first place. HI guys! I've installed IOS 12 on my iphone 5s and thanks god it works well. Excellent. Glad to hear that it works well. But does the latest update works well with my old iphone?? Although come to think about it, one could interpret what you mean as "it is well working." Now the thing about wells working is that they require a working well, and that, in itself, is a deep subject. So, if a well is working, then the working is well. But if the well is not working, then it does not work well, and the workers cannot well work. So, are you asking if the phone is well working, or working well? This new ‘proactive’ Siri drives me bananas - not only are they often wrong or useless, they’re also creepy. It took me over 20 minutes to manually shut this stuff off, bot sure what Apple is smoking. If they are planning on pushing this proactive/smart crap they better let us turn it all off. Easily. I actually like it. When I have a meeting, it suggests that I open the Skype meeting link to dial in to it. If I'm late to the meeting, that will certainly save me some time and stress.